Koreans have once again gain media attention but this time not as an accused of any kind of hack attack, but as a victim of a severe attack on computers systems at a nuclear power plant in South Korea by an unknown hacker or a group. South Korea was hit by a cyber attack on its nuclear power plant, causing the operator to conduct drills in order to test the ability of the nuclear plant to cope with a full-scale cyber-attack. Although the plant's operator says no critical data has been leaked. The cyber attack came into light after a hacker posted blueprints of nuclear reactors online and threatened further "leaks" unless authorities close down the reactors. 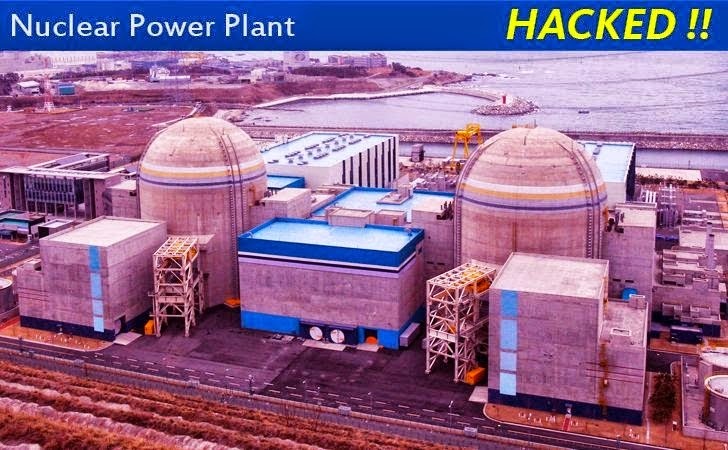 According to the South Korean Yonhap News Agency, the hacker was able to access blueprints of reactors, floor maps and other internal information on the plant. Last week with the help of a Twitter account named "president of anti-nuclear reactor group," the hacker posted leaked data revealing internal designs and manuals of the Gori-2 and Wolsong-1 nuclear reactors run by Korea Hydro and Nuclear Power Co. (KHNP). The hacker also threatened to leak more information unless the reactors are shut down. The leaked information includes important data on the facilities' air condition and cooling systems, a radiation exposure report, and personal data of employees.